Viewing distance is the most critical factor when choosing a screen. Eliminating eye strain can sometimes be as simple as sitting further back. Realistically, though, space in your custom home theater is finite, so you can only move back so much. That means unless you have an abnormally long room to work with, there are going to be some clear size limitations. How can you figure out your ideal screen size? Everyone's preferences will vary, but a common standard is to multiply the size of your screen by 1.5 to find your viewing distance. For a screen that is 8 feet wide, you’d have to sit 12 feet away to watch your content comfortably. Figure out just how much you can push that viewing distance before deciding on your screen size. This won’t just depend on the length of the room. How many rows of seats do you want to have in your custom home theater? Even then you have to consider how far apart each row will be to allow for comfortable movement. All of this needs to be figured out before choosing a screen. The closer you get to the screen, the more likely you are to see individual pixels. That’s one of the benefits of upgrading to 4K Ultra HD with four times the pixels of high definition. The higher the pixel count, the closer you can get to the screen without getting a pixelated image. If you have size limitations, you can overcome some of them by going with a higher resolution screen. When choosing a screen, its vertical size also matters. Look for screens small enough to be installed a few feet from the ground and ceiling so they're at eye level. Otherwise, you'll have to look up or down to follow the action, resulting in neck strain over long periods. As you can tell from this blog, a lot of the factors involved have to do with personal preference. The best way to ensure you have the right screen is to work with a professional. They’ll bring together your viewing and design preferences to find the ideal product for your space. 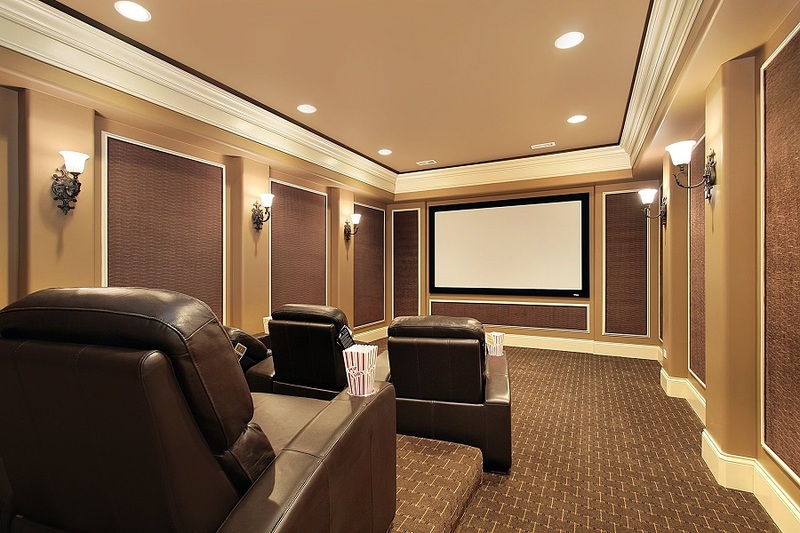 If you want to learn more or need help with your custom home theater installation, reach out by calling (210) 858-6954, filling out our online contact form or chatting with us on the bottom right.